Don't leave Asheville without watching a sunset from the Grove Park Inn! 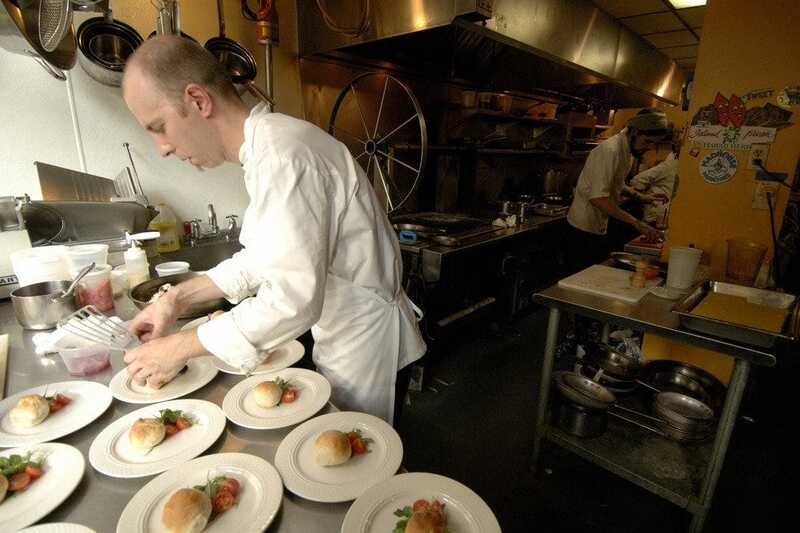 With over 250 independent restaurants, Asheville is steadily earning the attention of foodies near and far. While the rest of the country gradually embraces the local food movement, chefs in Asheville are celebrating decades of close ties with local farmers. Here, farm-to-table dining isn’t a trend; it’s the foundation of an extraordinary culinary scene. 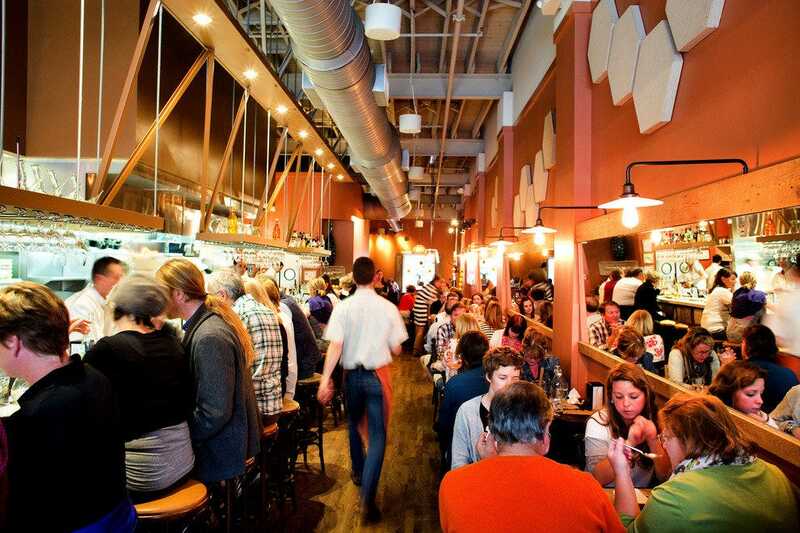 Downtown is a great place to start a gourmet exploration of Asheville. It’s where you’ll find Cúrate, which some say has put this tiny mountain town of the map. With Chef Katie Button at the helm, this award-winning Spanish tapas restaurant gives diners a front-row seat to the kitchen thanks to the coveted 22-seat dining bar that overlooks it. 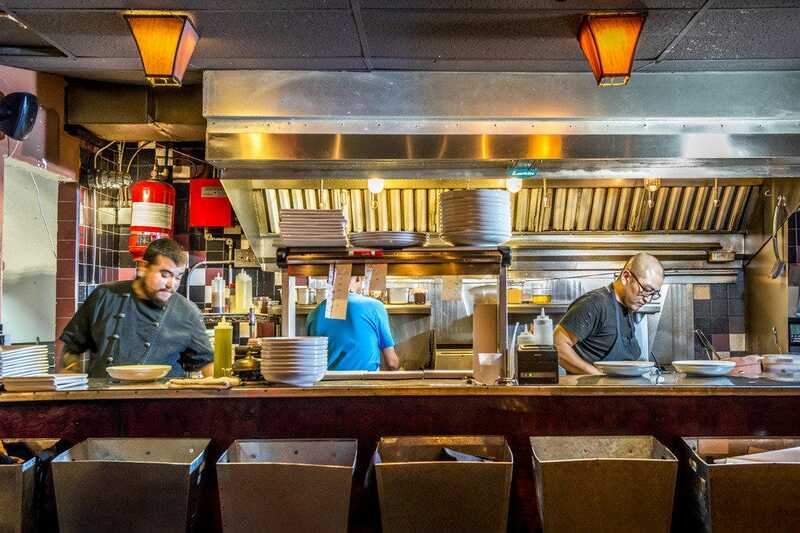 But Cúrate is just one of many downtown eateries worthy of a visit. 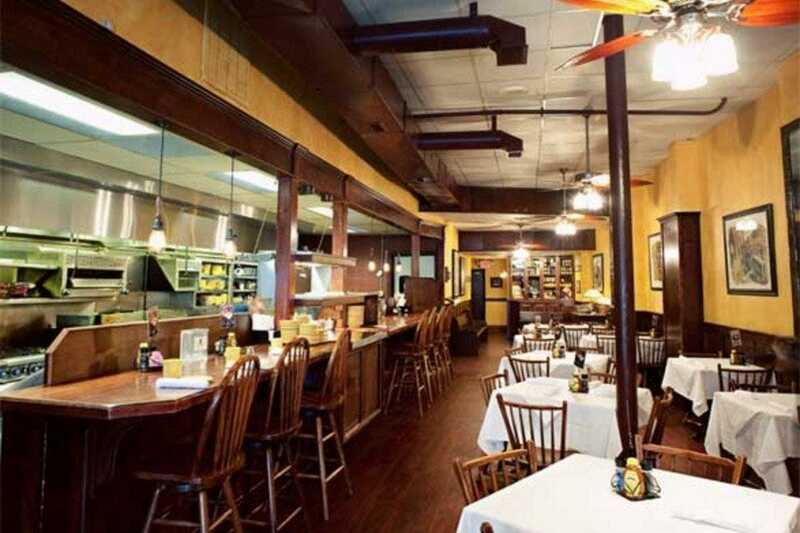 There is also Tupelo Honey Café, which serves breakfast, lunch and dinner from a menu filled with made-from-scratch southern fare. It’s a fun place to visit on Friday nights when hundreds gather at nearby Pritchard Park for the weekly Asheville Drum Circle. Beyond downtown, new restaurants are popping up continuously in the River Arts District, home to the White Duck Taco Shop, where atypical taco combinations and scrumptious sangria have created a cult-like following. 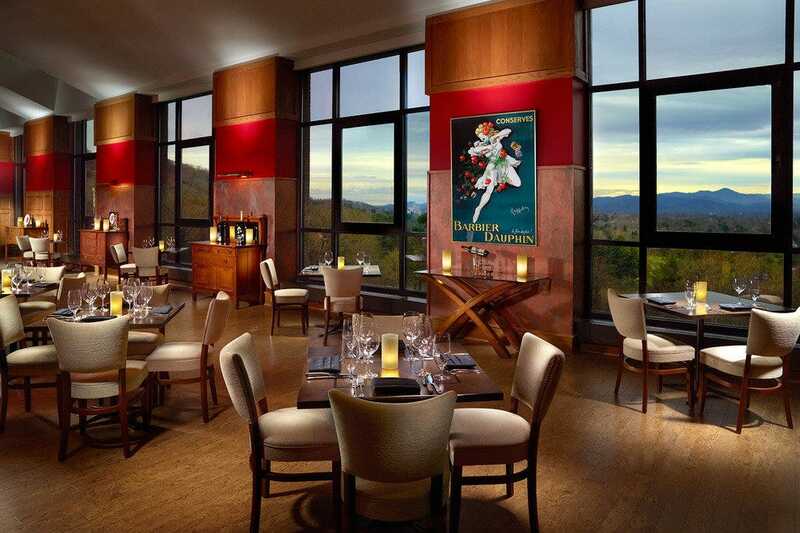 Of course, who could overlook restaurants at both Biltmore Estates and Omni Grove Park Inn, where sophisticated plates are served alongside epic views of Asheville’s unforgettable mountain vistas? 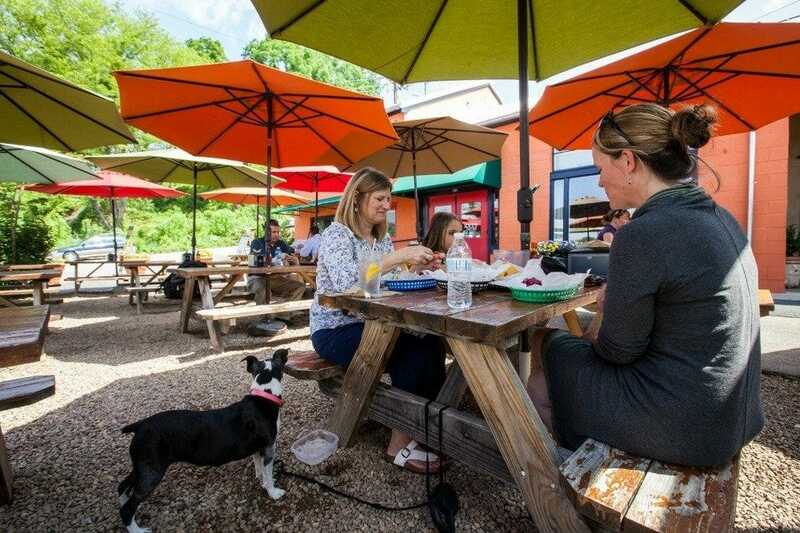 Enjoy discovering these top ten favorites, which are really just the beginning of a long love affair with Asheville’s many culinary delights. Dark wood floors, muted yellow walls, bistro tables topped with flowers and additional sidewalk seating give this eatery upscale appeal. 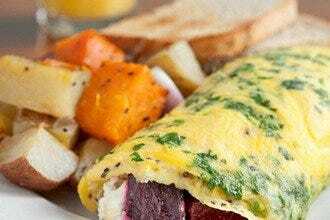 The kitchen serves tantalizing breakfasts such as New Orleans-style French toast, sweet potato pancakes and omelets with complimentary hot biscuits all day. Dinner options include shrimp and grits, nutty fried chicken with mashed sweet potatoes, and a veggie plate that might include organic honey-glazed carrots, marinated grilled tofu or candied ginger cornbread with peanut butter. Asheville has a great Saturday and Sunday morning brunch scene, and this is definitely an area favorite thanks to the breakfast pies people will line down the street for. Tupelo has another location in Asheville's south side but it doesn't have the same vibe as the downtown locale. 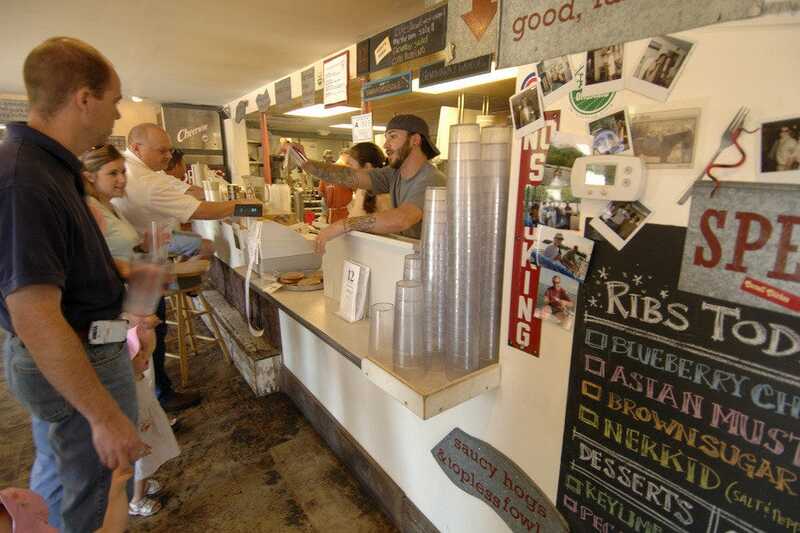 While President Obama's multiple visits to this much-loved barbecue hotspot may have garnered 12 Bones some national attention, Asheville locals have been singing its praises for years. The restaurant, which has two Asheville area locations, is perhaps best known for its River Arts District locale where a line of hungry loyalists begins to form by 11am each weekday. Inside this no-frills, red-roofed quick-serve on Riverside Drive, a steady supply of pulled pork, beef brisket and slow-smoked baby back ribs are served with finger-licking sauces, including Blueberry Chipotle, which is available in bottles to take home. All of these savory delights are best enjoyed accompanied by 12 Bones' stellar sides, which include mashed sweet potato, collards and the legendary jalepeno cheese grits. Intricate carpets play off an ivory-painted room with coffered ceilings, a dry-stacked stone fireplace, and luminous chandeliers in this elegant establishment. You'll dine Vanderbilt-style, graced by able servers, stunning views, estate wines, and all the appropriate accoutrements. The Biltmore restaurant plies diners with a bevy of fantastic dishes and ingredients. For example, start with a caviar service, and then shift to pastrami-crusted bison carpaccio. With such richness, you'll be hard-pressed to choose an entree, but let yourself be swayed by roasted breast of pheasant with thyme jus, wild Tasmanian steelhead salmon with tarragon aioli, or a Black Angus filet mignon. The entire memorable experience is certain to be second to none. Estate admission fees may apply. 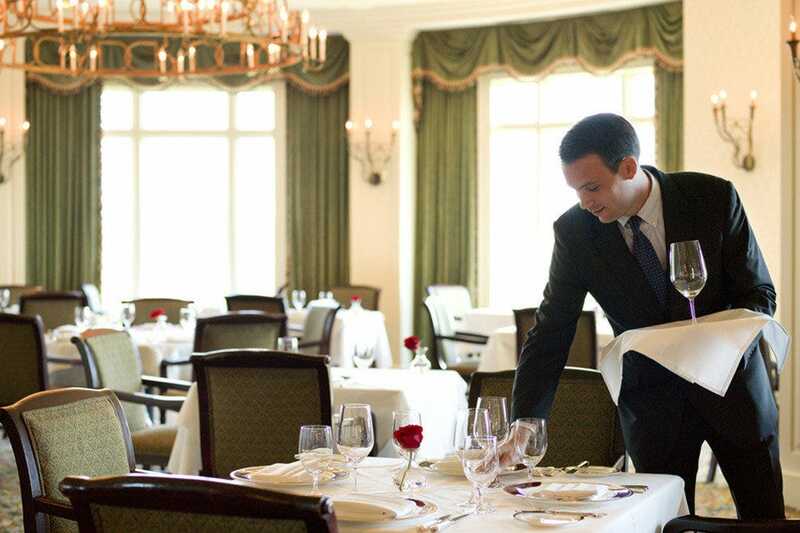 When the Omni Grove Park Inn embarked on a multi-million-dollar renovation in advance of its 100th Anniversary in 2013, the plan to open a restaurant with unparalleled mountain and sunset views took center stage. The result was Vue 1913, a European-style restaurant with American cuisine bolstered by local farm fare. With Chef James Lumley at the reigns, the kitchen cranks out an endless array of haughty plates that aim to vie for each diner's affection while they sit flabbergasted by the panoramic views of the Blue Ridge Mountains. It's a tough match-up, but judging by reviews from critics applauding the classic fare, Vue 1913 is holding its own alongside the epic vistas. White Duck Taco Shop opened adjacent an artist studio in the River Arts District in 2011, and while the picnic-tabled, quick food spot joined a slew of fun and eclectic eateries in the district, it has certainly emerged as a standout. 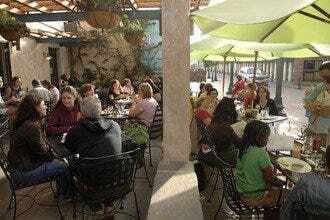 There's almost always a line out the door, especially during peak lunch and dinner times Monday through Saturday. Inside, a colorful chalkboard displays the kitchen's offerings, including a dozen varieties of tacos with a nod to a plethora of international cuisines. Jerk Chicken, Bangkok Shrimp and Lamb Gyro are just a few of the options, all of which are best enjoyed alongside a serving of mint watermelon and a glass of house made white or red sangria. Since this venture has been such a success, owners opened a second location downtown on Biltmore Avenue. A lack of gluten shouldn't translate into a lack of flavor. That's the maxim underpinning Posana, the 100 percent gluten free eatery located in downtown Asheville. Inside the newly remodeled space, Chef Peter Pollay presents menus for dinner and brunch, each boasting tempting dishes filled with lots of local fare but zero gluten. As buskers hustle their musical skills for dollar bills on the street outside, diners gleefully look on as they enjoy their gourmet feast, which includes standouts like the Sunburst Farm Trout and Hickory Nut Gap Pork sourced from Asheville's most famed farm. With a bar set high from years working with Wolfgang Puck, Chef Peter shows that even gluten-free food can pack a tasty punch. Tables dot both floors of the quaint, historic home that is Corner Kitchen, one of several restaurants in the historic Biltmore Village but the only one visited by President Obama. Chefs take full advantage of local provisions when creating the ever-changing menu, which will often house crowd favorites like the pecan-crusted trout and the herb-roasted pork. Like a lot of Asheville chefs, the culinary team at Corner Kitchen keeps the cuisine pretty simple and lets the ingredients speak for themselves without overdoing the preparation but they're never afraid to kick their Pan-American fare up a notch with imaginative reductions and sauces. This is a very popular spot, especially during Biltmore Estate's high seasons in summer and over Christmas. Reservations are highly recommended. 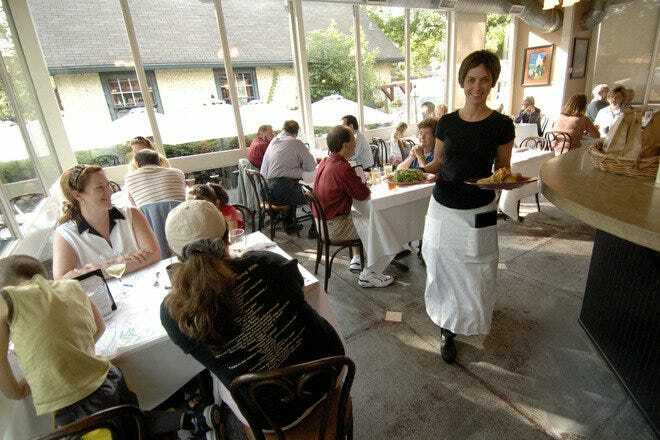 This long-lived establishment has been an Asheville fixture for decades, and it still takes to heart its mission of serving superb cuisine using local ingredients and supplementing with the best foodstuffs from around the globe. Seasonal menus feature dishes like roasted pork tenderloin and braised bacon with collard greens and black-eyed pea risotto, roasted young chicken with brussels sprouts and walnuts, and wild striped bass with clams, bacon, and Meyer lemon. 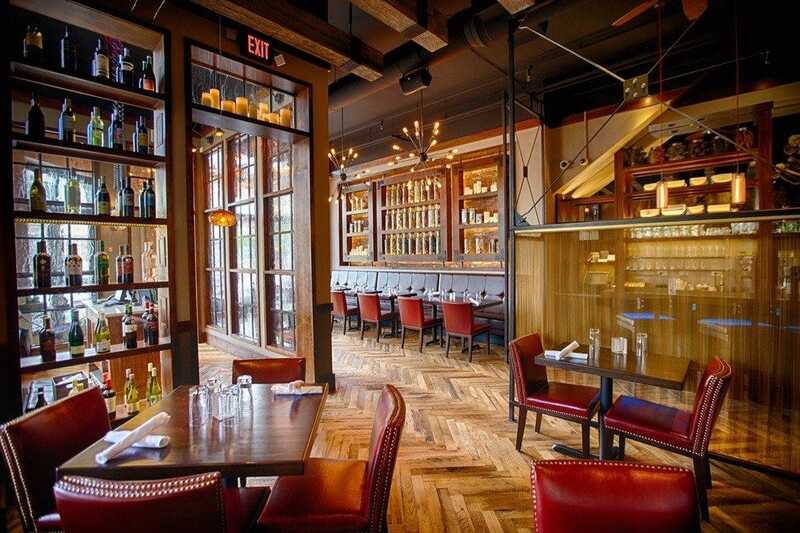 Wine pairings are suggested, and the restaurant also presents a casual dining option: Bar 100. A few years ago, Chef Katie Button, along with her husband and parents, went on a road trip across North Carolina with the singular purpose of finding the perfect town to roll out a restaurant. They picked Asheville. Three years and two James Beard nominations later, her restaurant, Cúrate, has become one of the most celebrated culinary achievements in Asheville and it's clear they made a smart choice. 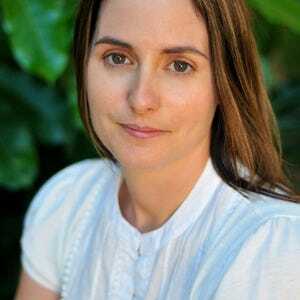 Cúrate's cuisine is Spanish tapas and the menu is packed with dozens of simple, small plates with bold flavors that not only stand as testament to Button's culinary training at both El Bulli in Spain and Jean-Georges in New York, but to her staunch support of local agriculture.